The black spheres on the middle right are iron arc spheres. They have a smooth surface, as is indicated by the smooth reflection of the reflected darkfield illuminator. The black sphere at the bottom right of center is a magnetite sphere from construction of the transformer. 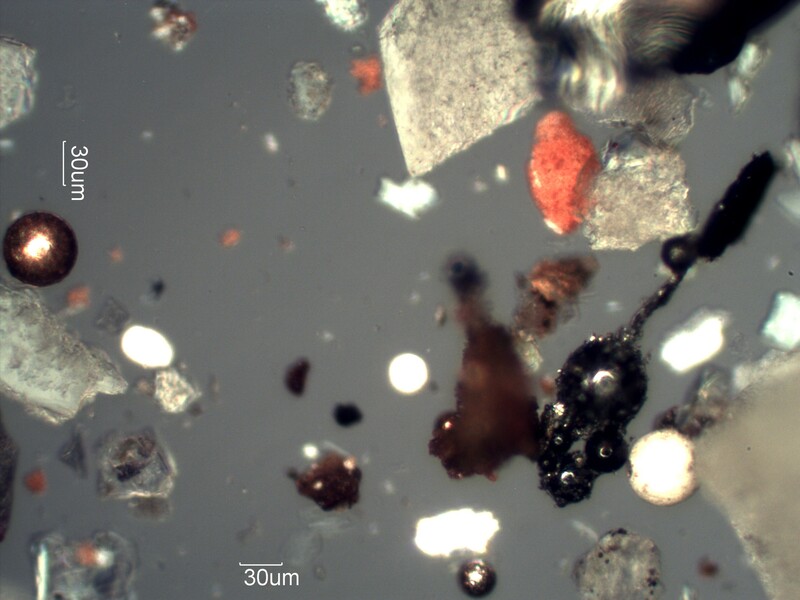 The speckled reflection shows the crystal struction of the surface characteristic of magnetite spheres. On the left edge is a copper arc sphere. The white spheres are paint spheres.